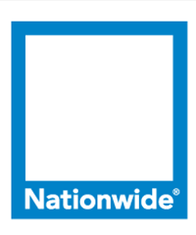 The Nationwide Insurance: Tani Nicole Tucker in Dallas, TX provides the following products. To learn more about each insurance product, click on the links below. After devoting a great deal of time and energy to choosing your vehicle, make sure to get the right protection when insuring your vehicle. Tani Tucker specializes in making it easy for Dallas drivers to protect one of their largest investments with insurance, which is why we're working with Nationwide to give each of our members true peace of mind when they're behind the wheel and even when they're not. Even if this isn't your first time getting insurance, the number of options you have to choose from can be overwhelming. At Tani Nicole Tucker, we not only provide you with the basic types of auto insurance that nearly every driver needs, but we go the extra mile to make sure you have the exact level of liability, personal injury protection, comprehensive, collision, and under/uninsured motorist coverage you require. This way, you aren't paying for more protection than you truly need. We can also work with you to assess whether additional drivers or a family member should be added to your insurance protection in order that everyone benefits from an airtight plan. Once you have your plan in place, we hope you'll sit down with us to discuss any major changes that have taken place in your life, such as moving, driving more or less, adding new features to your insured vehicle, or changing jobs. All of these factors can have an impact on your protection, and we always want to make sure that protection is up-to-date. Once you're ready to discuss your auto insurance needs with an agent and agency who care, we hope you'll give us a call at (214) 828-4999. You're also more than welcome to visit us at 1430 Dragon St.
Modern home insurance coverage is not one-size-fits-all, but is instead based on the unique aspects of your home and living in Dallas. Some physical components to consider when covering your home are detached additions, like pools and sheds. Another aspect of home insurance is covering the belongings on the inside, the ones that are most valuable or the most important to you. For expensive works of art, antiques or jewelry, there is our Valuables Plus® coverage. If the unforeseen does happen, you can be covered with our Brand New Belongings® program which aids in the repair or replacement of your covered belongings. Whether you're covering priceless memories or expensive boutique items, Tani Tucker and all our other local agents want to make sure you get the best coverage possible. The sheer number of coverage options and discounts can seem overwhelming, but not when you have Tani Nicole Tucker to explain every step along the way. We're located at 1430 Dragon St, but you can also call us at (214) 828-4999 to schedule an appointment or just ask questions. If you are thinking about purchasing a life insurance policy in Dallas, you might have a few concerns about the process. You are probably familiar with purchasing insurance for your vehicles and home. However, life insurance requires you to exercise a little more due diligence. Think of life insurance as a long-term, personal investment. The right coverage can provide financial stability for your family. The wrong coverage could leave them with unexpected expenses. At Tani Nicole Tucker, we work with Nationwide to provide you with many insurance options to protect your most valuable assets. We understand the need for financial security and the challenges you may encounter in achieving it. We are here to help provide you and your loved ones with friendly and professional assistance in protecting the items and people you cherish the most. You want the best rates possible for your budget. For you to receive it, you need to consider which types of life insurance you need. Making this decision is not always easy. Fortunately, Tani Tucker and any of our team members are available to assist. There is some industry language you may not be familiar with that can make it challenging for you to understand policy options. We also offer different levels of coverage with varying death benefits and payment options. Your policy is only as good as your insurer’s reputation, experience and coverage options. To learn more about our products and how they can benefit you, call (214) 828-4999 to speak with one of our team members, or stop by 1430 Dragon St,Dallas,TX,75207 to discuss your insurance needs in our office. Like most business owners, you probably know pretty much everything about your business. Still, you may have lingering questions about your commercial insurance needs. The Tani Nicole Tucker can fill the gaps in your knowledge of Dallas business insurance, just as we can recognize and fill gaps in your policy coverage. 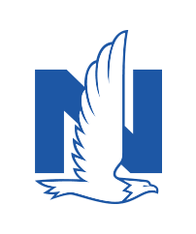 In addition to their great insurance products, the Tani Nicole Tucker also partners with Nationwide for superior account services. For example, whether you need to respond to changes in state law or local markets, don't underestimate the value of the Nationwide's On Your Side® Reviews. Let us explain how dependable customer service and flexible billing options make for stronger protection for your Dallas company. Give us a call at (214) 828-4999 so we can start discussing your business's insurance needs. We can also set up a time to talk in person at our local office. We're located at 1430 Dragon St. The Tani Nicole Tucker also offers products in TX. Please call for information on products in those states. Our agency team has been serving the DFW area with Auto insurance for many years. As a full-service insurance agency, it is our responsibility to find our members the right car insurance, home insurance and business insurance protection they need, no matter what. Let us provide you with the protection you deserve while helping you invest and continue to secure the future you want. You and your family deserve the best, which is what you can expect you from us.